With holidays on the horizon (Portugal for Anne and Greece for Laura! ), our penchant for Pom-Poms is growing by the day. 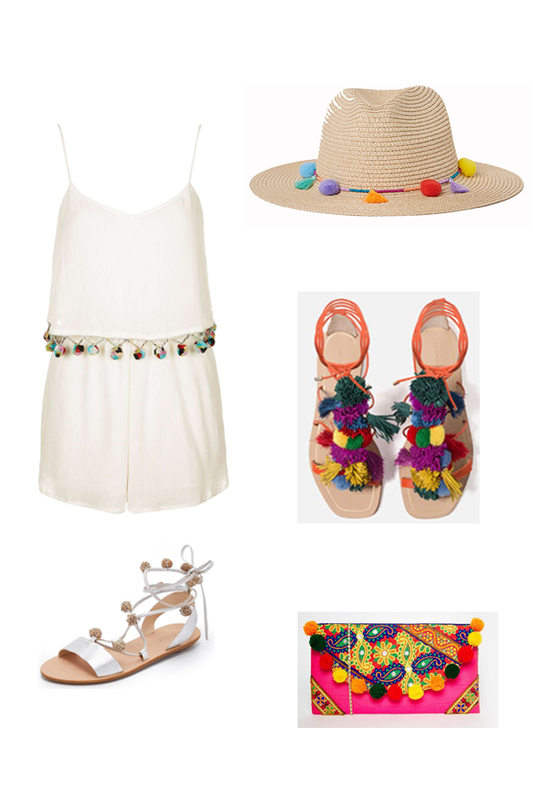 Adding embellishment to everything from sandals to dresses, Pom-Poms are popping up everywhere this summer! 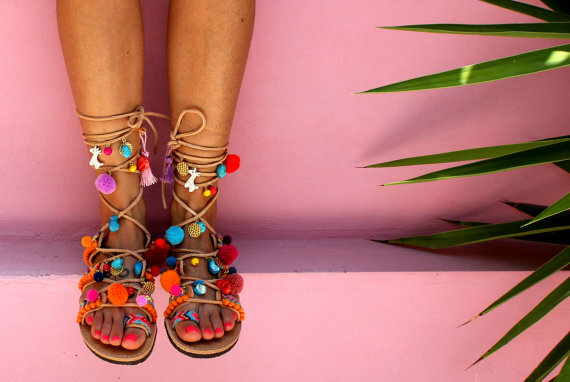 We came across a gorgeous Greek Etsy site, specialising in made to order Pom-Pom sandals. Decorated with colourful friendship bracelets, semi precious stones, beads, charms and crystals, these sandals are too cute. And yes, they are little unicorns we spy on the pair above! We’ve also rounded up a few of favourites in-store and online for the ultimate summery vibes! And now for some styling inspiration! These playful pieces add a lovely pop of colour, so we suggest keeping the rest of your look simple. The exotic shades look so striking against all white, crisp denim or solid blocks of colour. Next Post Festoon garden lights….